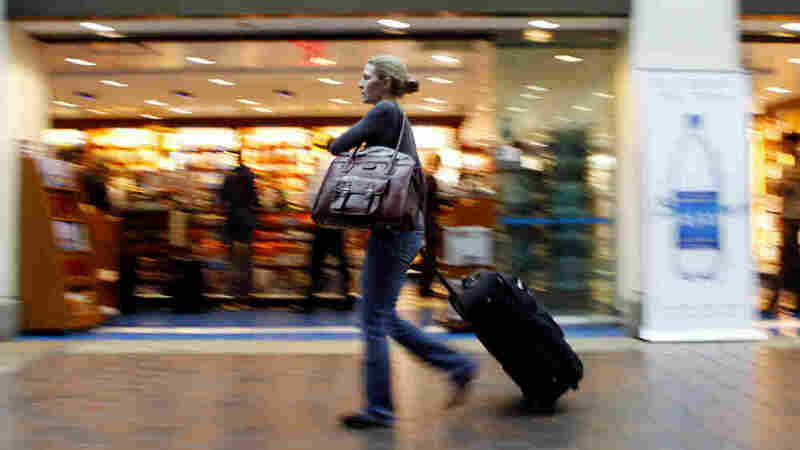 Three Myths About Thanksgiving Travel Conventional wisdom says the highways and airways will be stuffed, gas prices will spike and you're more likely to get stuck at the airport waiting for your flight. But your trip over the river and through the woods may not be so rough, according to travel experts. Each year as millions of Americans pack their bags for Thanksgiving pilgrimages, we're bombarded with tales of travel nightmares and advisories that seem a lot like leftovers from Halloween. The highways will be jammed with lines of cars, the price of gas to get from A to B will break the bank, and a plane ticket will cost an arm and a turkey leg. No. Thanksgiving travel is forecast to increase by 11.5 percent this year after several years of recession-fueled travel caution, according to AAA. But even with 42.2 million people taking to trains, planes and automobiles (not to mention buses and watercraft), this still isn't the busiest travel time of the year. "Actually, the summertime is worse. There are about five to 10 days during the summer that are busier than Thanksgiving," AAA national spokesman Troy Green says. Victoria Day, a spokeswoman for the Air Transport Association, agrees that "there are several days in the summer that see a higher volume of traffic than Thanksgiving." Here's another enduring misconception: Conventional wisdom holds that the Wednesday before and Sunday after Thanksgiving are the worst times to travel. "Thursday and Friday might be just as bad," Green says. "After all, think of how many people will be driving to Thanksgiving dinner on Thursday." Thanksgiving travel by automobile is projected to increase this year by 12 percent from last year. Yearly totals for round trips of at least 100 miles taken on Thanksgivings are shown in the millions. Another myth busted. While this year is an anomaly because of the recent spike in oil prices, November is normally at the nadir of gasoline demand -- and the market is driven by supply and demand. "It's typically the lowest price of the year," Green says. "Demand in summer is usually significantly higher, and that tends to drive the price up." This year, AAA predicts the average price for a gallon of self-serve regular will remain between $2.85 and $2.95 during the holiday. You'd think so, but the answer is no. Bill Mosely, a spokesman for the Department of Transportation, took a look at "on-time performance" for flights since 2001 during a 12-day window with Thanksgiving in the middle. He compared the results with results averaged from the rest of the year. What he found was surprising. In seven of the past nine years, airlines actually had a better on-time performance during that 12-day period than they did during any other time in the year. "Thanksgiving is not necessarily the worst time to travel by air," Mosely says.